As we start the weekend, both music and sidewalks will be sizzling! Fortunately, it also sounds like the music, not the weather, will keep on simmering throughout the rest of the week! And a diverse music week it will be, with blues-driven jazz (from old AQ favorites) honoring the Lowertown Blues Festival at the Black Dog, the first annual Rochester City Jazz Festival 80 miles southeast of the Metro, an almost annual performance from French bassist Francois Rabbath to close out the Twin Cities Bass Cam, a return, two-night visit in the Dunsmore Room for the Dave King Trio, and a "CD Re-Release" celebration with the Illicit Sextet at Vieux Carré... and more... and more. Friday, July 22. 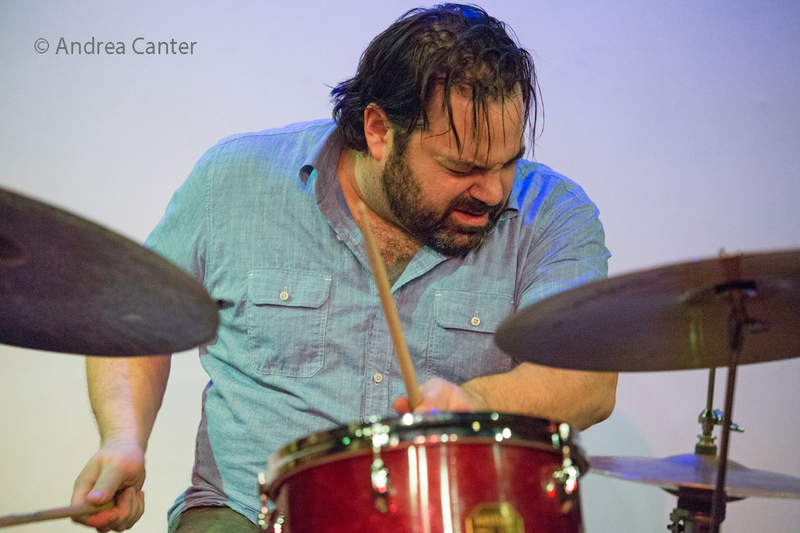 Wherever he plays, drummer Rodney Ruckus lives up to his name! 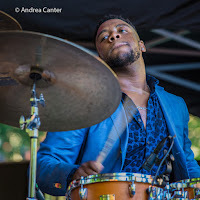 After attending Berklee College of Music and performing with luminaries like Herbie Hancock, John Patitucci, Joe Lovano, Roy Hargrove, Charles Lloyd and Tia Fuller, Ruckus has become fully entrenched in the Twin Cities jazz scene, including leading his own band on the main stage of the recent Twin Cities Jazz Festival. Tonight he brings the band to Jazz Central in prime time. 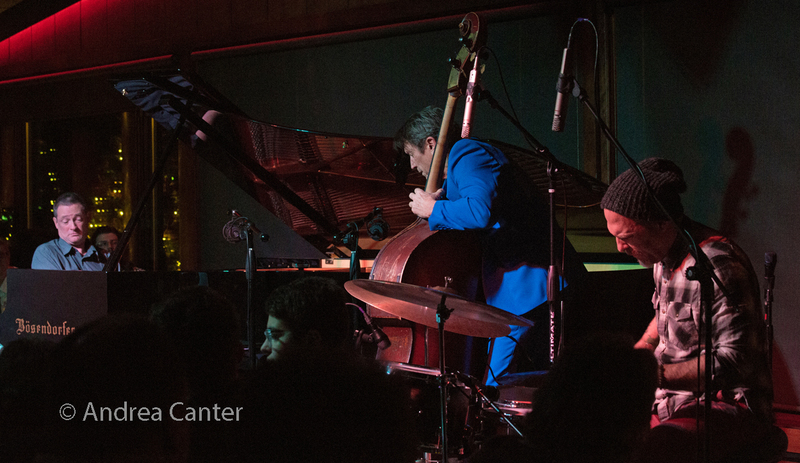 At Vieux Carré, pianist/composer Jeremy Walker provides the opening sets of music before yielding the stage to the swinging New Orleans sounds of the Southside Aces. 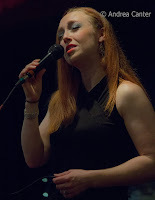 Meanwhile, crooner Arne Fogel returns to Parma 8200, while songbird Sophia Shorai entices on the other side of the metro, at Crooners Lounge. And jazz over dinner in a joint with the summer-enticing name Icehouse is a perfect Friday night escape with Tim Sparks and James Buckley, guitar-bass duo magic. It's closing weekend for Sommerfest at Orchestra Hall, and what better way to end on a hot summer night than with Charles Lazarus' "Night in the Tropics" with the Minnesota Orchestra? 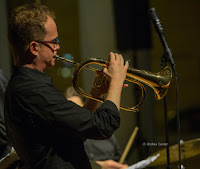 Lazarus again brings in his jazz quartet (Mary Louise Knutson, Jeff Bailey, Dave Schmalenberger, Ken Chastain) and, along with the MO, covers the sounds of Brazil, Cuba, Hawaii and beyond, including Lazarus originals, a tribute to Jobim, and Duke Ellington's "Caravan." Saturday, July 23. Find some jazz and shade in nearby western Wisconsin! From noon til 6 pm, the Chateau St. Croix Winery in St. Croix Falls holds it's annual jazz festival, complete with food trucks, craft beers, wine and some of the metro's finest music from Maud Hixson and Rick Carlson, the Zacc Harris Quartet, Pete Whitman's Mississippi, and Doug Little's Charanga Tropical. If staying close to home has more appeal, cool off at the Midtown Global Market for a midday serenade from Charmin (Michelle) and (Joel) Shapira. The final day of the Lowertown Blues Festival is also the final day of celebrating the "Grand Re-Opening" of the Black Dog Coffee and Wine Bar. Really the Dog never closed down during renovations that moved music from the bar to the new dining area and back again, but now it's all done-- larger and full bar, full kitchen with table service and expanded menu, and double the seating between the two sections. Depending on the nature of the event, there will be music on the renovated bar side, and on the new dining side! 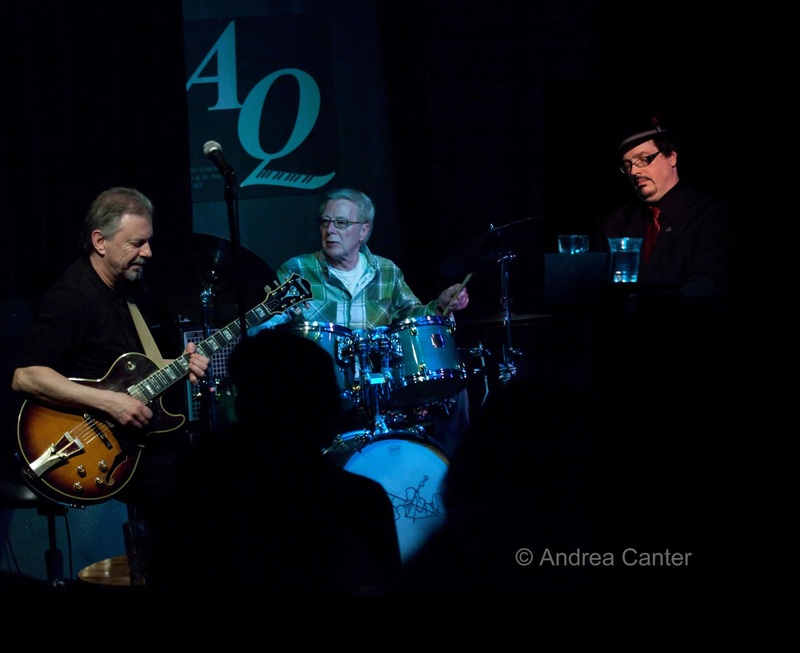 Honoring the traditions of the Blues Festival, Saturday Night Jazz at the Black Dog presents the Ted Godbout Trio followed by the longest-running act in the history of the Artists Quarter, the famed Tuesday Night Band with Downtown Bill Brown on B-3, Billy Franze on bass, and AQ owner Kenny Horst on drums. Just up the street in Lowertown, Larry McDonough's Acoustelectric band (with Richard Terrill, Greg Stinson and Dean White) helps celebrate the opening of World of Beer at 5th and Sibley. The first set presents the acoustic jazz of Bill Evans, Chet Baker, Tony Bennett, and more, while the second, electric set features jazz/rock fusion arrangements of Sting, Clapton, Led Zeppelin, and Prince (with Larry's new arrangement of the "Question of U"). And of course there will be a world of beer! Larry notes that this is the last public performance of this material before the band's recording session for their CD, Alice in Stonehenge and Other AcoustElectric Adventures. At the Dakota, Nachito Herrera presents a night of Gershwin as only he can, while Patrick Harison provides some swinging accordion over the dinner hours at the Icehouse. Sunday, July 24. 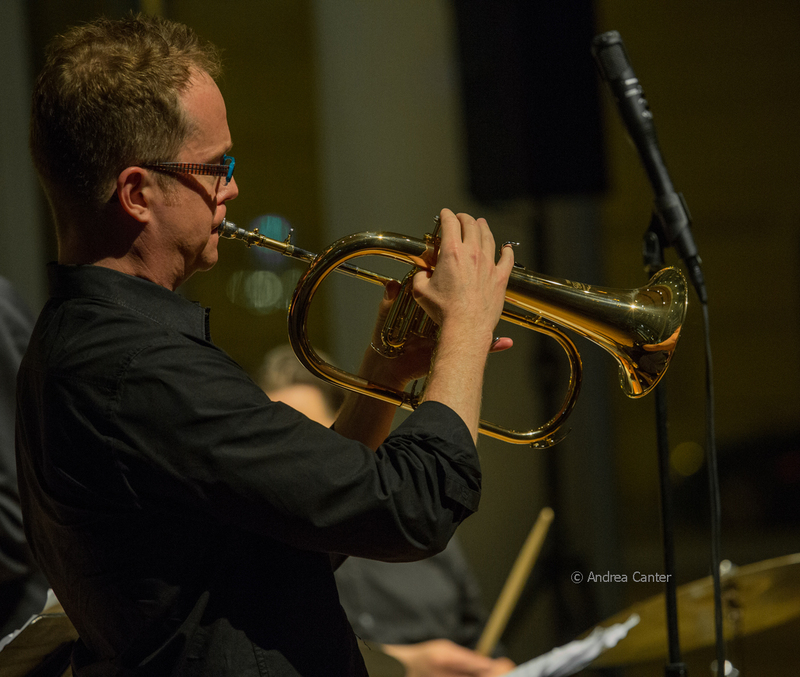 For years, trombonist John Sievers has been leading not only his own quartet (D'Sievers) but also keeping jazz alive and growing in the Rochester area. 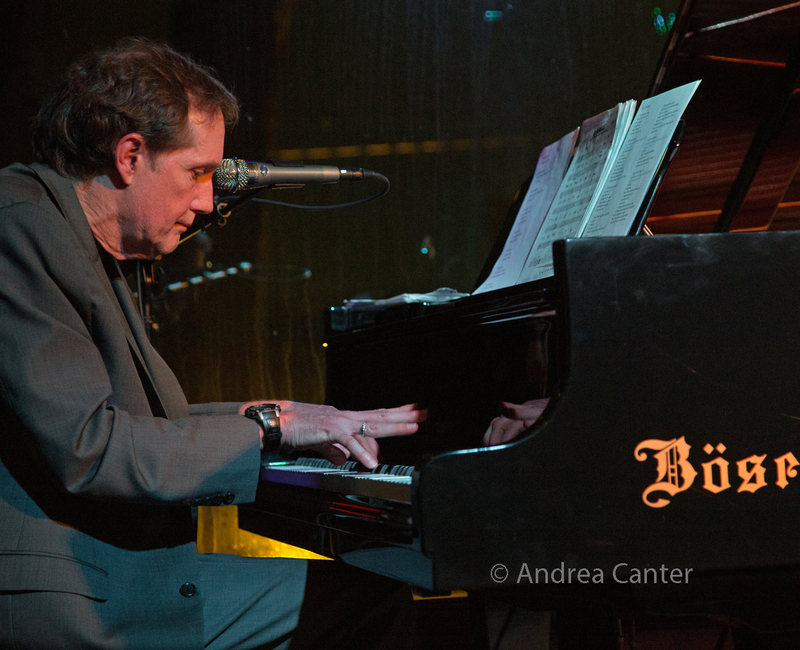 Now he's combined efforts with the Twin Cities jazz impresario Steve Kenny to produce the first annual Rochester City Jazz Festival, noon til dark at the Rochester Civic Theatre, on the patio and in the concert space. D'Sievers will open the fest at noon on the patio, followed by a three-hour jam with area musicians, with two of the Twin Cities' most adventurous bands, Group 47 and the Atlantis Quartet, performing indoors for the evening sets. Tickets are $10 at the door or on the theater website in advance. Definitely worth the field trip (about 80 miles from the twin downtowns). A little closer to the metro, you can enjoy some outdoor jazz at Alexis Bailey Vineyard in Hastings, where wine tasting will be complemented by the Sophia Shorai Quartet. Since I can't say it better, to quote Larry Englund, she "can express heartbreak, determination and grace with a combination of sweetness and aplomb." 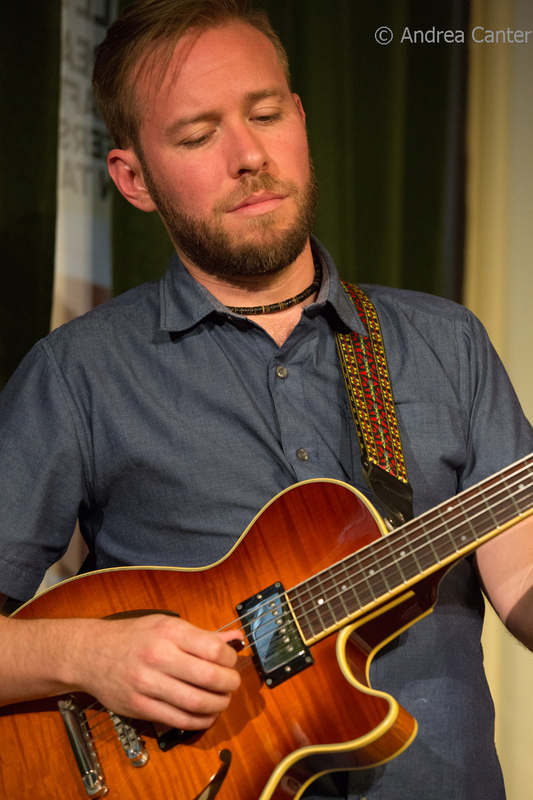 Come back for an early Sunday evening when, Arne Fogel again, takes the stage in the Dunsmore Room with a compelling trio of Chris Lomheim, Graydon Peterson and Nathan Norman. Monday, July 25. You can enjoy a rising star or an internationally acclaimed veteran on either end of the metro tonight! At Jazz Central, young trumpet master Omar Abdul Karim is in the spotlight with pals Pierre Lewis (organ) and Batume (drums). 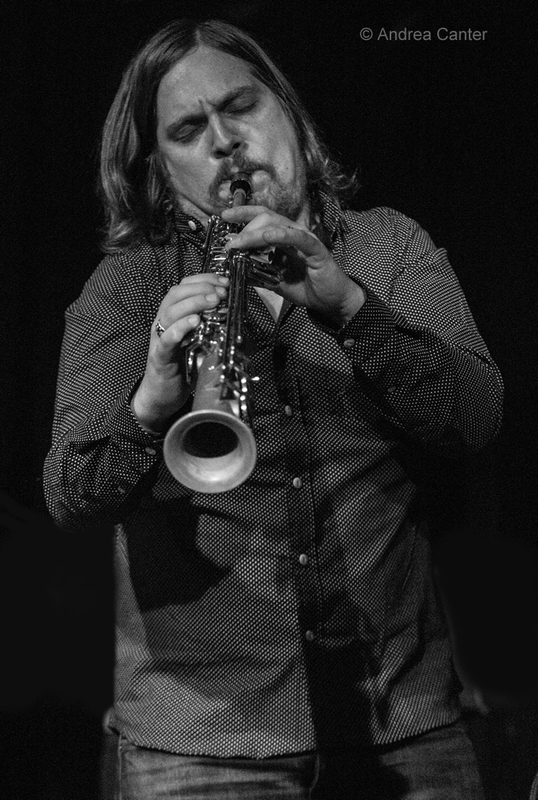 Rabbath plays at 7 pm, meaning there's time to get across town to the Icehouse for JT's Jazz Implosion night, and tonight it's a formidable trio of improvisers with JT holding down the time (if they bother with time) for saxophonist Michael Lewis and guitarist Jeremy Ylvisaker. Tuesday, July 26. At Vieux Carré, pianist Steven Hobert opens the evening, warming up the stage for JT Bates' Grain Trio featuring Kevin Gastonguay on B-3 and Zacc Harris on guitar. 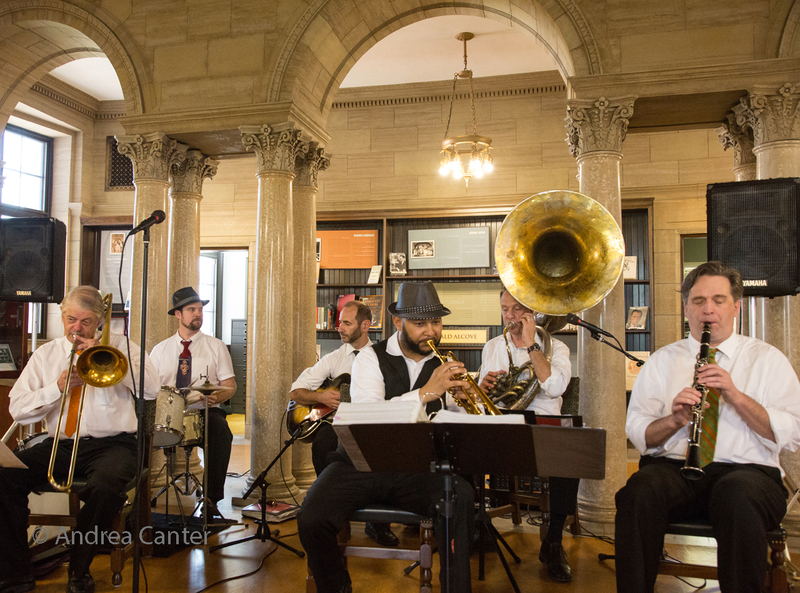 At Jazz Central, Big Band Night features the Twin Cities Latin Jazz Orchestra. Tuesday-Wednesday, July 26-27. They're back! 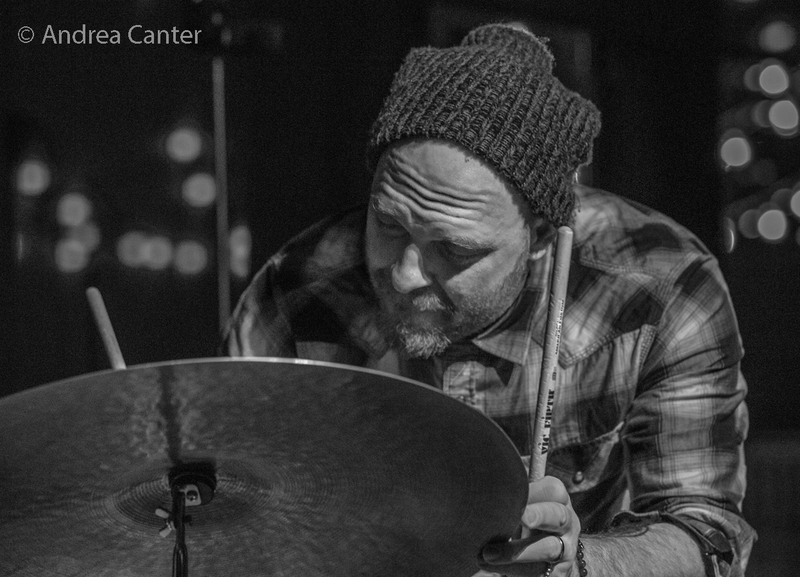 After playing the official opening gig in the Dunsmore Room last December, the Dave King Trio with Bill Carrothers and Billy Peterson are back in Fridley. 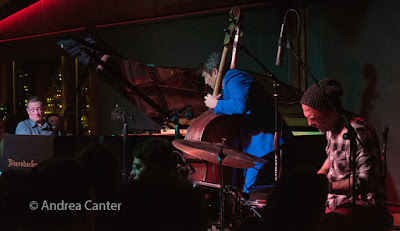 Far more sublime than you might expect from the pulse of the Bad Plus, Dave's trio is at least a 90-degree turn from his work with the Dave King Trucking Company, which had a two-night run at Vieux Carré last week. Expect clever reinventions of jazz standards and songbook classics, as well as some original material. 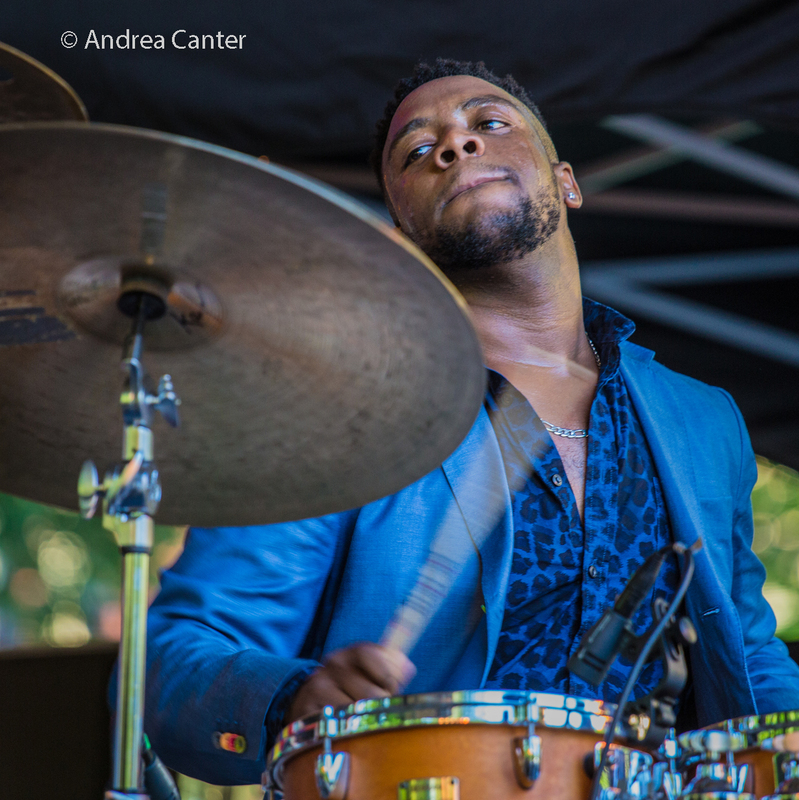 These are three of the most creative jazz artists working today. Anywhere. Wednesday, July 27. Back in the 90s, there was a very popular jazz band called the Illicit Sextet. And at the height of their popularity, the band went on a 15-year hiatus, reconvening at the Artists Quarter in 2009 and staying on the scene ever since. 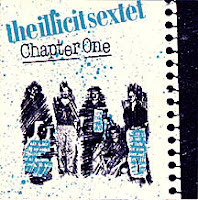 They've released two recordings about 20 years apart and a third is due out this fall, but tonight at Vieux Carre', they will celebrate their very first effort, Chapter One, with a digital re-release. Most of the original band is intact-- Steve Kenny, Paul Harper, David Roos, Chris Lomheim, Tom Pieper and Nathan Norman. At this show, hear all original music from Chapter One as well as Chapter Eleven and the forthcoming next chapter. Thursday, July 28. The Dakota presents Minnesota's First Lady of Song, Debbie Duncan, while, back from her annual array of gigs in Door County, Jana Nyberg returns to Vocal Jazz Night at Jazz Central, accompanied by the elegant piano of Chris Lomheim. In St. Paul at Khyber Pass, "elegant" might not describe Embezzler, but you will hardly feel cheated out of anything despite the band name--rather you will be treated to the inventions of Paul Metzger, Adam Linz and JT Bates. There's always more jazz around the metro! See the Live Jazz Calendar posted on the KBEM website, and read more about jazz events at jazzpolice.com --online and on Facebook. And tune into the on-the-air edition of the Lead Sheet every Thursday at 4:40 pm, rebroadcast on Fridays at 8:20 am, on KBEM 88.5 FM. 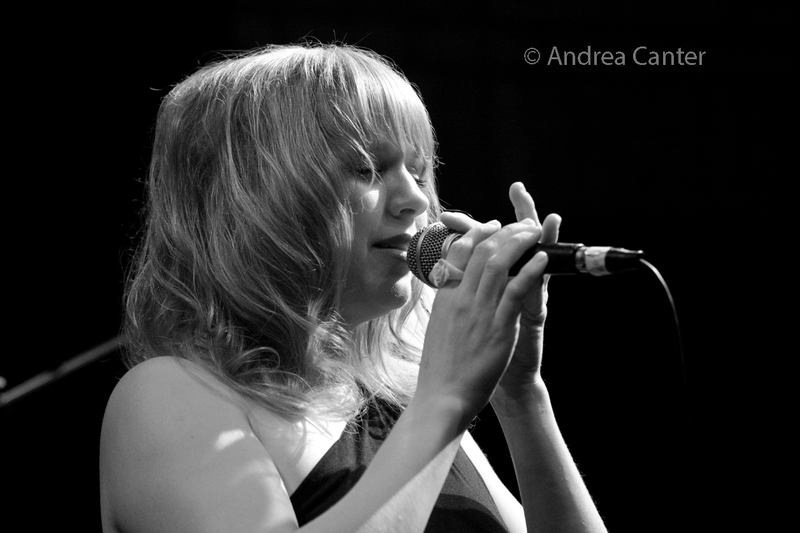 Andrea's guest on July 28 will be vocalist Katia Cardenas, talking about her new recording and upcoming adventures.